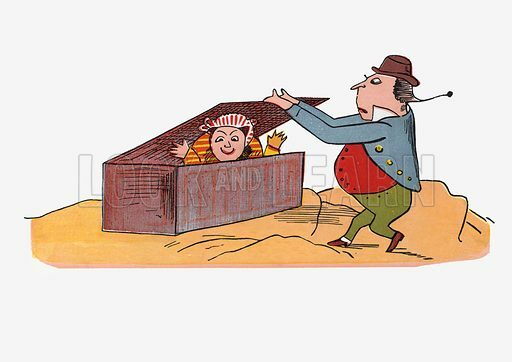 There was an Old Man on some rocks, who shut his Wife up in a box. Illustration for A Book of Nonsense (Frederick Warne, c 1875). Colouring probably done by Edward Lear himself.